Does your child read basic Hebrew yet? Does your child have any learning difficulties with general studies? Is there any special medical or other information regarding your child, of which the school should be aware? Were there are conversions or adoptions in your family? 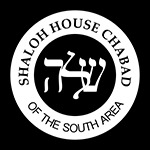 How did you hear about Shaloh Hebrew School? I HEREBY PERMIT MY CHILD TO PARTICIPATE IN ALL SCHOOL ACTIVITIES, AND TO JOIN IN CLASS AND SCHOOL TRIPS ON AND BEYOND SCHOOL PROPERTIES. IN CASE OF AN EMERGENCY, I HEREBY AUTHORIZE THE SCHOOL TO HAVE MY CHILD TAKEN CARE OF BY A PHYSICIAN IN ANY WAY THE SITUATION MAY CALL FOR.